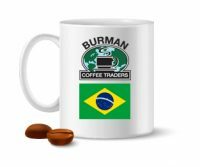 This is the way we make our coffee! 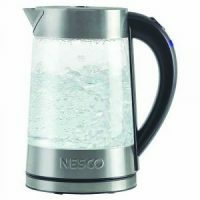 Use a clean kettle and good water and you will enjoy amazing coffee. The special triple thickness filters give a longer contact time, yet remove any harshness or bitterness. 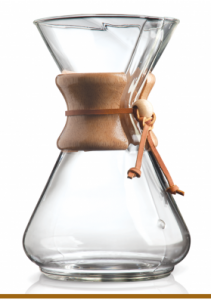 The Chemex coffeemaker is an elegant, one piece; hourglass shaped vessel made of high quality, heat resistant glass. The traditional model comes to you with a collar of polished wood tied with a leather thong. 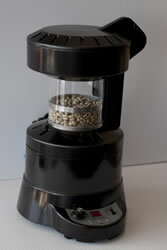 The collar serves as an insulated handle around the middle of the coffeemaker. 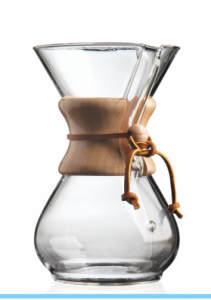 Few products in this century can match Chemex’s flawless blending of design and function. Its visual elegance has earned it an honor place in the permanent collection of New York’s Museum located in Corning, New York. The Chemex coffeemaker was also selected by the Illinois Institute of Technology as one of the 100 best designed products of modern times. 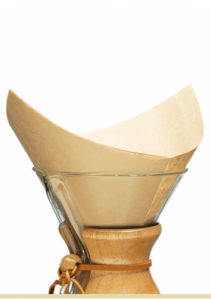 The Chemex coffeemaker, together with Chemex-Bonded Coffee Filter, makes perfect coffee-clear, pure flavorful, without bitterness or sediment every time. The coffee only comes in contact with the scientifically designed filter and non-porous glass. With the Chemex method, you can make coffee as strong as you like without bitterness.